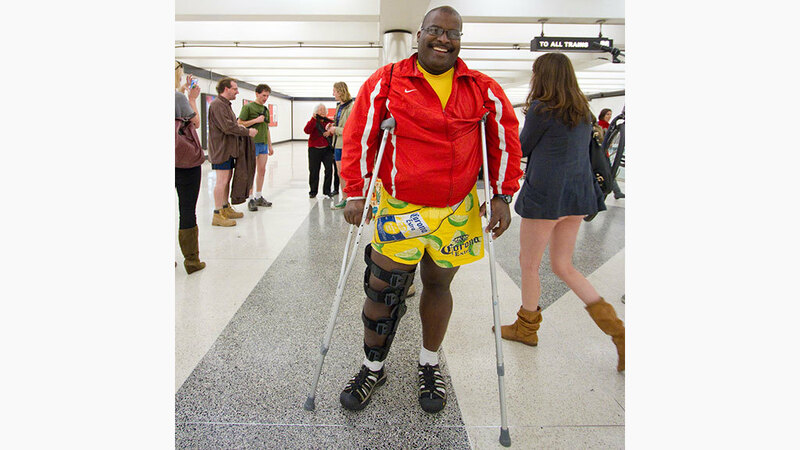 Strip down to your skivvies for the annual mass-transit prank founded by Improv Everywhere. The cheeky commute takes place on January 11. 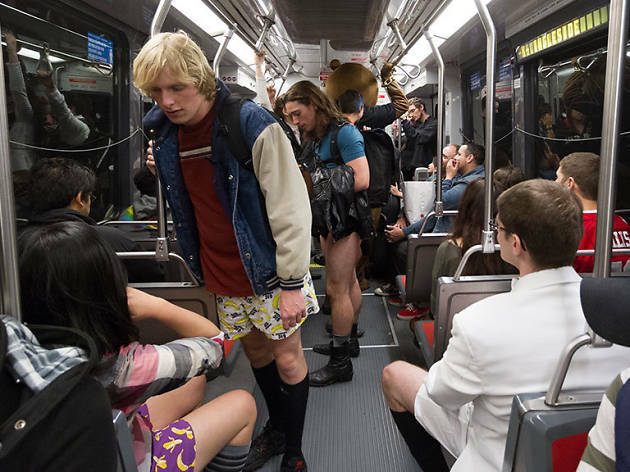 Good news for the sartorially oppressed: The No Pants Subway Ride takes place this Sunday, January 11. 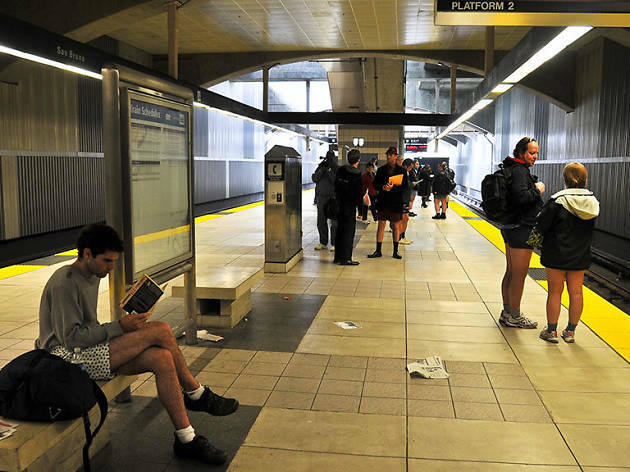 To participate in the annual mass-transit trouser drop, simply board a BART train sans bottoms and arrive at Yerba Buena Gardens by 2:15pm. After a few brief instructions (see what we did there? 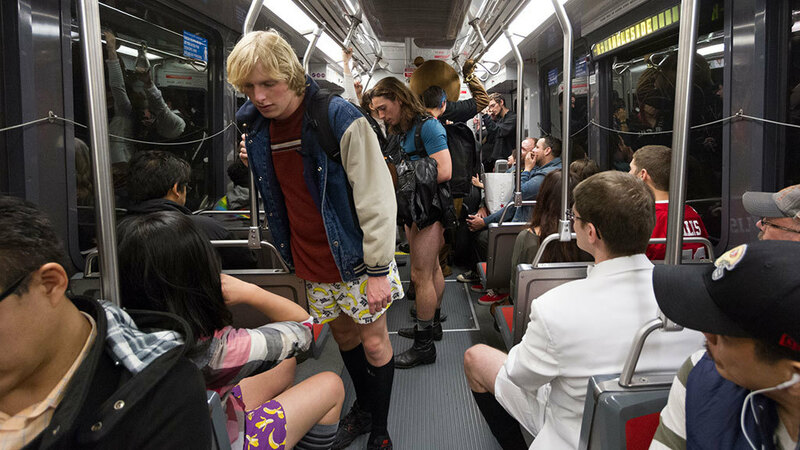 ), the cheeky crowds will infiltrate the BART and Muni in the direction of the Mission. For more details, head to the official Facebook event page. You can also follow @NoPantsSF on Twitter for live updates. 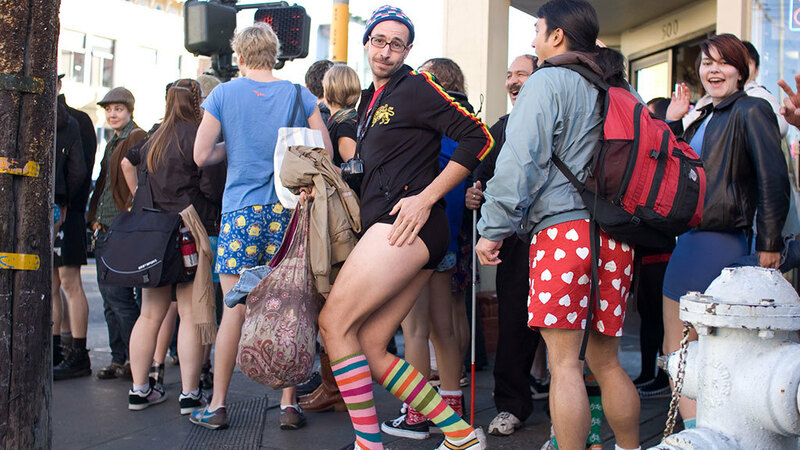 In the meantime, click through photos from previous rides for some pantsless inspiration.